Top Notch Material: Lushes Curtains Make Any Room Feel Luxurious! 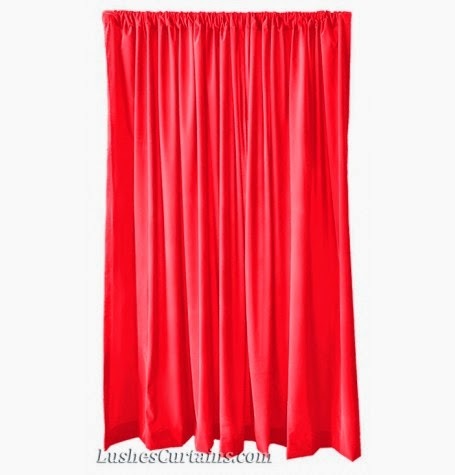 Lushes Curtains Make Any Room Feel Luxurious! I am always looking for ways to update our home and make it look better! There are some big things we need changed, like new carpet, and since we cannot afford to replace that yet, I like adding rugs and curtains to change the overall look of the room. Recently, we were lucky enough to receive a beautiful set of curtains that were custom made for us from Lushes Curtains. These leather, yellow curtains really brighten up the room! This is a Beautiful Elegant Velvet Backdrop Curtain made out of Flock Velvet Blend Material which weighs 9oz per yard and measures exactly the size Chosen (The size is the exact size of the panel when fully extended/stretched out). It comes with a 4” rod pocket on top so it can be easily hung by any 1/2”-3 1/2” thick Rod or Pole. These curtains we received are really heavy duty and nice! They are lush and added a nice, beautiful touch to any room, and make the room feel more luxurious. The bright yellow collar really brightens up the room during the dreary winter months. The curtains were so nicely made, and shipped fast! Considering they really take the time to custom make this according to the width of your window, the turn around time is fantastic! The price is pretty amazing as well! You cannot be less than $30 a panel for the kind of quality you get here! I highly recommend Lushes Curtains for any curtain needs you may have, you can also count on the color on screen to be pretty true to the real color of the curtain. These look like nice curtains. I have noticed a ton of giveaways on blogs for them lately. No luck winning though, too bad.